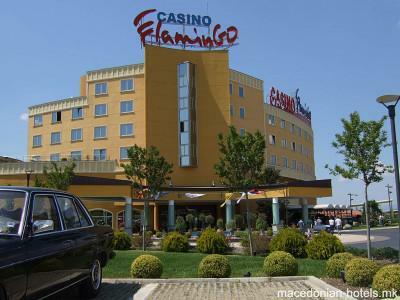 Casino Flamingo Hotel is an exciting destination where our guests may experience an atmosphere of exhilaration and, for the duration of their stay, put the everyday worries to one side. If "lady luck" smiles on you - so much the better! It comprises a Casino, 5-Star Hotel, Night club, Penthouse, several superb Restaurants and an extensive selection of Bars. The Casino Flamingo Hotel is proving to be one of the region's most popular entertainment attractions. 3.51 km distance from Gevgelija main square. 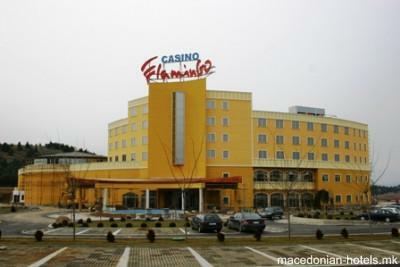 Online booking unavailable for Casino Flamingo hotel.